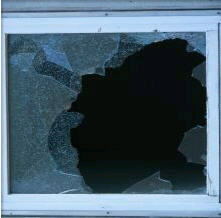 Who has to pay when a burglar breaks a window in your rental property? From TAR: An unknown person broke into a rental property I own, shattering a window in the process. The tenant of that property sent me written notice of the broken window. The tenant is arguing that because the damage was the result of a criminal act by a third person, the landlord is obligated to pay. I think the tenant has to pay. Who is right? Under Paragraph 18D(2) of the Texas Association of REALTORS (TAR) Residential Lease, a landlord does not have to pay to repair damage to windows and screens, unless caused by the landlord’s negligence. Therefore, under the lease, the tenant could be found responsible for the cost of repairing the window regardless of the fact that the damage was caused by a person committing a criminal act. If you did not use the TAR lease or if your written lease fails to contain this provision, the broken window could be deemed a condition that materially affects the physical health and safety of an ordinary tenant, in which the landlord could be required to make a diligent effort to repair and ultimately be responsible for payment. There are many controversy responses about this response from REALTORS community in our area. Many recommend that the landlord repair at his/her cost the window as soon as possible. Looking out for the health, safety and welfare of the tenant should be a landlord’s responsibility and plus it would help foster better tenant/landlord relations which is always a help. The Tenant will already feel violated by the break in. Where as a few suggest as a good business practice to repair the broken window to protect the property and possibly to protect life, then bill the tenant for the expense. If the tenant fails to pay for the repair the cost can be taken from the rent proceeds and the tenant would then be the arrears with rent. 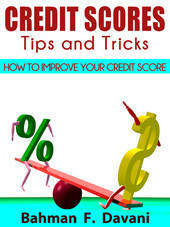 The tenant now owes late fees and is otherwise in default of the lease and “may” be evicted. Make sure you know the ins and outs of property-management contracts.